This building is a 5-story, reinforced concrete structure built in 1957. A sixth floor was added in 1962. As part of an earlier study in 1997, Johnson Leifield determined that this parking structure was deficient for current code level seismic loads. This was due to the lack of an adequate shear wall along its east edge. In early 2001, the owner of this project decided to proceed with a seismic renovation in order to refinance the property. They dictated that the chosen rehabilitation must not exceed $1,000,000 in cost. 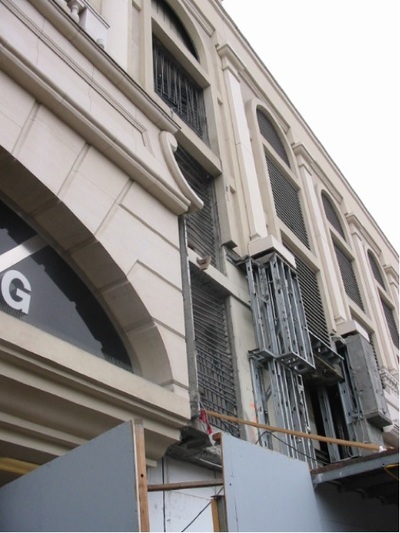 As shown in our previous study, a strict (1994 UBC) code prescribed approach was an extremely expensive option for rehabilitating this structure and that its cost would exceed $5,000,000. 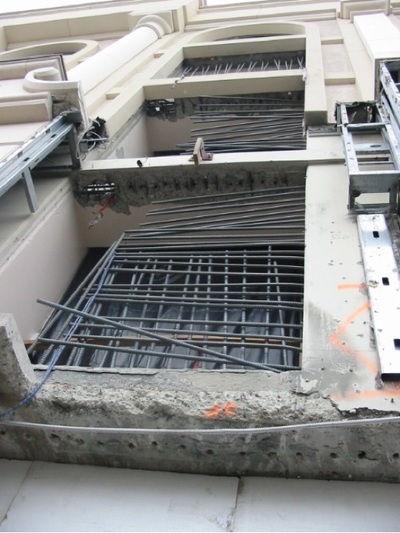 Thus, it was proposed that the only way to adhere to the strict construction budget was to design the rehabilitation utilizing the performance-based methodology contained in FEMA 356, the NEHRP Guidelines for the Seismic Rehabilitation of Buildings as published by the Building Seismic Safety Council. 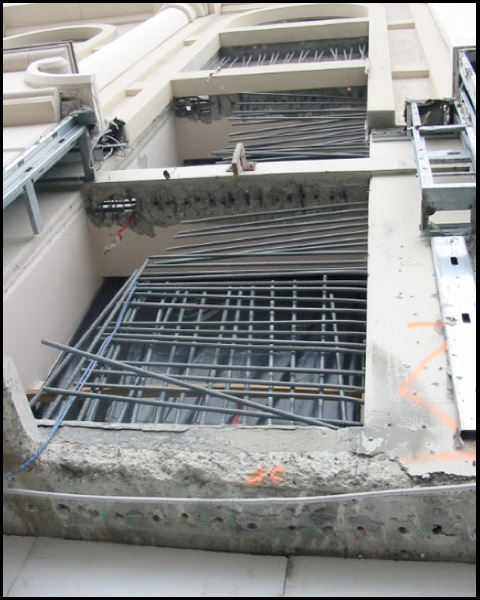 The “surgical” demolition and construction of a new shear wall successfully limited the impact of the construction effort. The project was completed on time and under budget. Total construction cost was approximately $750,000 with only about $350,000 devoted to the structural upgrades. (The remaining $400,000 was applied to demolition and reconstruction of the French limestone facade.) 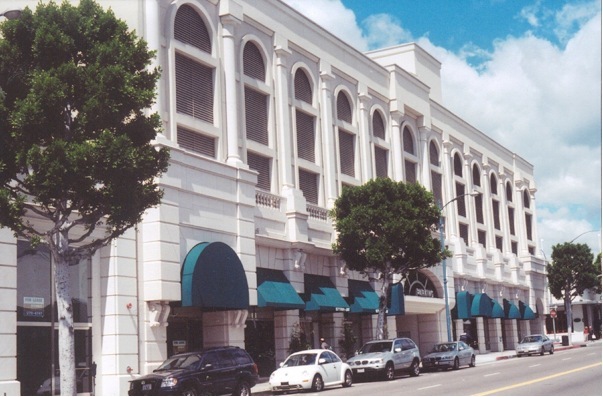 The resulting building is an attractive presence to the Beverly Hills area and can be considered as seismically safe as any new structure.